Prime Minister Tuilaepa Dr. Sa’ilele Malielegaoi has paid tribute to a pioneering figure in teaching the word of God in Samoa. Pastor Maxwell Rasmussen passed away peacefully at Rotorua Hospital, New Zealand, at the beginning of the month. He was 91. 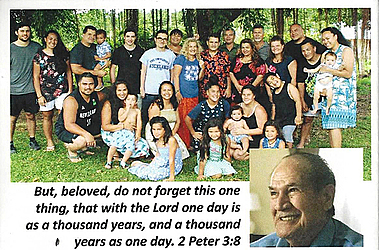 Uncle Max, as he was affectionately known to many, had faithfully served the Lord for seventy years in New Zealand, Samoa and elsewhere in the world. “Pastor Rasmussen served the Lord wholeheartedly for these many years in preaching and in teaching the Word of God, equipping and preparing people to witness and to heed God’s great Commission, to go forth into the World, and baptize them in the Name of the Father, the Son and of the Holy Spirit. “This is Pastor Rasmussen’s ultimate contribution to the Independent State of Samoa, in his assiduous efforts to help our people strengthen their relationship with the Lord, through true worship, faith, eternal peace, cohesion and harmony within families, church and the whole country. “We sincerely acknowledge his contribution to building the leaders of Samoa; leaders who fear God in their decision making, and are courageous and faithful to their calling. “The government would like to thank Pastor Rasmussen sincerely for his work in guiding our people in the ways of the Lord. 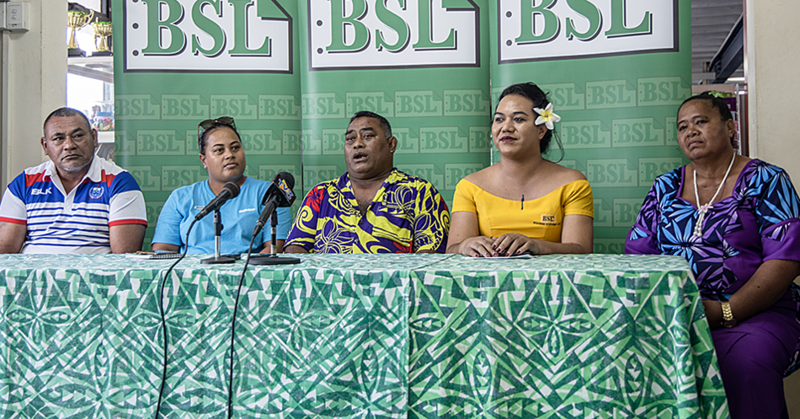 The prayers have helped leaders of government to press on in the midst of mounting challenges, and in devoting their energy to the development of our country and not to be side tracked to the needed actions to keep Samoa peaceful and harmonious. “Max has certainly not labored in vain, as he had served God’s will on earth with joy, purpose and meaning. He was God’s instrument and vessel, fully utilized to win many souls for His eternal kingdom. Saint Paul wrote to Timothy assuring that ‘I have fought the good fight, I have finished the race, I have kept the faith, now there is in store for me the crown of righteousness, which the Lord, the righteous judge, will award to me on that day, and not only me, but also to all who have longed for his appearance’ (2 Timothy 4: 7-8). Ps. Max was heavily involved in the initial set up of the Youth For Christ in Samoa and later on established bible studies in many villages in Samoa, teaching and preaching the gospel to Samoa. To date bible studies he had set up continue to operate in Falealupo, Samalaeulu, Saipipi in Savaii, Vailoa in Upolu, Leone in Tutuila, Sydney, Brisbane and Melbourne in Australia, Auckland, Hawkes Bay, Taupo and Wellington in New Zealand, and in the United States in Utah, Seattle, and Missouri. He is remembered for his of love of the bible, for leading many souls to accept Jesus Christ as Lord and Savior, and for playing sweet sounding music for worship. Pastor Maxwell Rasmussen was laid to rest in Auckland New Zealand. He is survived by his five children Sharon, Dean, Judi, Susannah, and Benjamin and grandchildren. 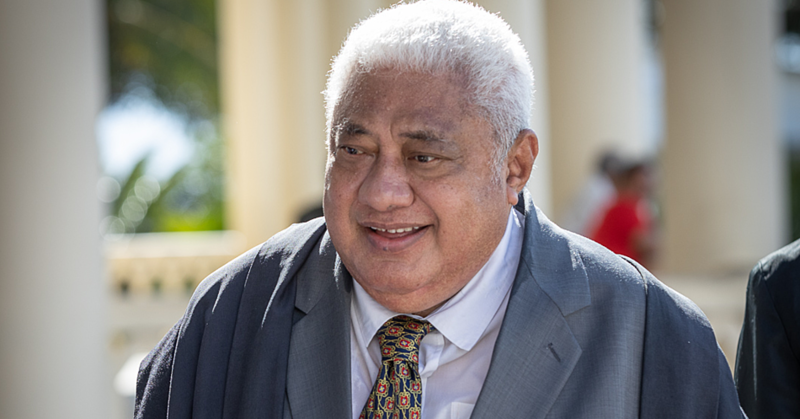 Prime Minister Tuilaepa’s message was relayed to the family by the Chief Executive Officer of the Ministry of Prime Minister and Cabinet, Agafili Shem Leo. 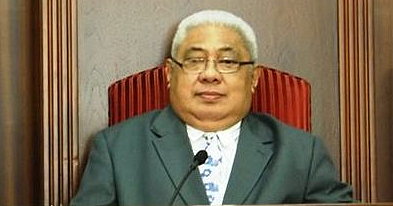 Agafili is one of the leaders of the Vailoa Bible Study.